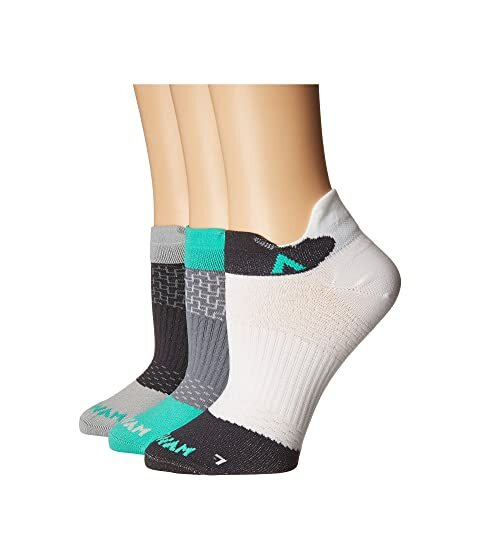 Take on your next challenge head-on with these Wigwam® Ensue 3-Pack of moisture wicking socks! Low-cut socks that sit at the ankle. Ultra-lightweight socks are void of cushioning and are designed to have an invisible feel. 95% stretch nylon, 5% spandex.